Monthly Bushiroad (out April 8th) comes with a “Sendou Aichi BOOK NEXT”, which contains a compilation of official artwork of Aichi (and other characters) that have been gathered together here, from their various sources and uses. Artwork of Yuuta, Morikawa, Miwa, Shingo and Naoki from Episode 26 of Vanguard G NEXT at the reunion at Card Capital’s 1st Store. Various foods for the Vanguard G x Karaoke Pasera Food Collab. It’s given as a present to those who donate 5,000 or more Yen to the Aisai City Hometown Aid Donation Fund (愛西市ふるさと応援寄附金). 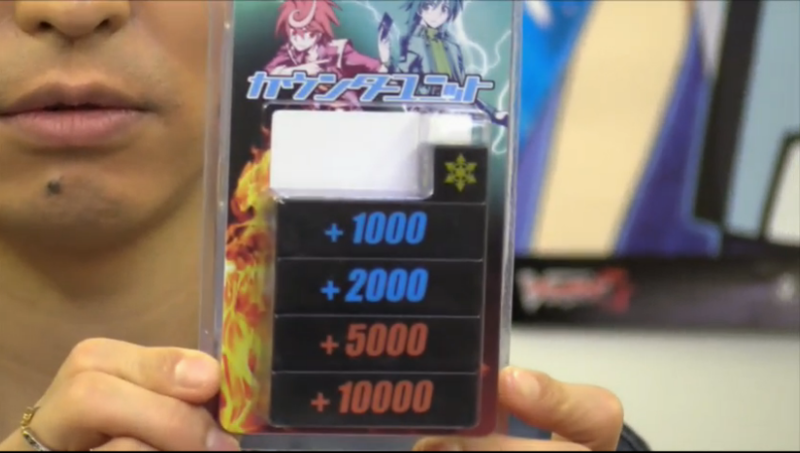 Official Counter Units to help make it very clear how much Power your cards are gaining.